Give your brand worldwide recognition in supporting positive change. With guaranteed extensive access to markets in print, film, and social media. Don’t miss out, have your logo here and around the world. Contact us now and for more info view our sponsorship package here. Note: We only accept support from companies or organizations that are dedicated to being environmentally and socially responsible. I was so happy to be paddling a lightweight and fast canoe from Toronto to Blind River! Since 1961, Algonquin Outfitters has been providing quality Algonquin Park back-country adventures for the entire family. They specialize in all inclusive guided canoe trips, light weight canoe rentals, and camping packages designed to suit your needs. Mad Dogs organizes the annual Mad Dogs Penang - Phuket Epic alongside a second event which varies each year. The Epic (which you can join for 4, 3, or 1 day options) presents a scintillating and unique opportunity to experience a deeply personal interaction with Malaysia and Thailand - the people, the food, the landscape, the street life, and the culture. Fully supported all the way. At the end, you’ll come away with a great deal of pride! Humphrey (the founder) kindly lent me his bike when I left Hong Kong. I rode it across China and Vietnam to Laos where it eventually sunk in in the Mekong river. Thanks Mad Dogs! …and sorry about the bike. My sandal and shoe of choice these days. I've emailed many companies over the years in search of product support and almost none of them ever get back to me. I was so happy when the owner of XERO shoes responded and immediately offered to send me a pair of these amazing lightweight hiking shoes and these perfect for traveling, running, and living in sandals. 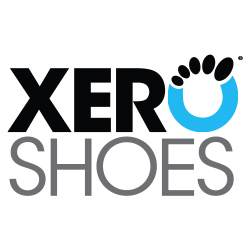 What impressed me most about Xero is that their shoes come with a 5000 mile guarantee. They also support the Tarahumara Children's Hospital Fund. Very fitting as the Tarahumara are a big source of inspiration behind the modern barefoot/minimalist running craze. I'm sold. p.s. If you click on any of these links you will also support me with 10% of your purchase. We all win! Win win win win. Jagasilk has focused on fresh-milled maccha green tea and its tools since 2005. They are a teabar, a wholesaler and a tea academy based out of Victoria, BC, Canada. They believe in beauty, balance and ethical business and I love their tea! Founded in 1987, by Marie Hutchinson and Harold Aune, Whitehall was first to produce all water sculling boats with slide seat rowing systems, usually found in a racing shell, with the famous Whitehall, renowned for safe efficient rowing in wind and waves. I rowed a Tango 17 with their employee Diane, from Victoria BC, to Port Angeles WA. I pogo sticked 10km across Winnipeg. Every hop made me smile and perhaps helped prevent any injuries. Boing! Check out flybar.com to see what the new sticks can do! Rock City Cycles formerly known as Oak Bay Bikes Nanaimo. 12th year of business. They carry entry level to pro level bikes. They hooked me up with some much needed new tires and tuning. The Timmissartok Foundation was founded in 2000 to assist individuals with adventurous projects that will take place in a foreign country. The foundation believes that one individual with a dream can be more powerful than a string of committees. Albert Einstein showed us that “imagination is more important than knowledge.” Ideas inspire people. The Timmissartok Foundation wants to invest in the people with the big dreams - “the hungry dogs” - who have a strong enough heart to make their dreams come true. I have been a member of Mountain Equipment Co-Op since I first ventured out of the city. Almost all of the gear I use has come from MEC. "MEC strives to make great products that lessen our impact on the environment and improve the lives of people we touch.... As a business – and as people – we operate with integrity and show respect for each other and the environment. For over 40 years we've been dreaming big and demonstrating the best of what business can be in our society." BeOcean Krui offers quality accommodation in South Sumatra set right on the beach with a variety of reef breaks on our door step plus access to numerous nearby waves. Comfortable bungalows and amenities surrounded by lush gardens, our infinity swimming pool, stunning views and chilled out vibes alongside with amazing food each day make this your perfect getaway ideal for all surfers, couples with a non-surfer partner and families. Enjoy the freedom and versatility of our open schedule surf trips yet stress-free and perfectly customized to suit your stay. Tamsin is a calculated negotiator; with a background in Visual Merchandising and Interior Design, she always found herself leading in sales positions where she excels at creating client satisfaction. Her love for helping others shows in her determination to find each client the perfect neighborhood, building, and unit. As a proud native Torontonian, she has a detailed awareness of the ever-changing neighborhoods and the people living within them, providing expert insight for your real estate transactions. Contact her. In the City of Toronto there are a huge number of realtors to choose from and making that choice can be a bit daunting. It is imperative to have full confidence and trust in your realtor. Chris and Ford aspire to always be the professional realtors that you hoped you would meet. They are committed to going the extra mile for you at every turn! They are dedicated, knowledgeable and have been commended for having a comfortable and very personable approach. Read the testimonials. Having known one another for over a decade, they work well together and share the same values. They are equally committed to every client so it is true you will have two realtors for the price of one! Tashii Paddle School is a local First Nations (Tla-o-qui-aht) owned and operated business. We specialize in outdoor education including first national cultural interpretation, paddle instruction, and tours that explore a variety of areas in Tla-o-qui-aht Tribal Parks. They joined me for a SUP down the Kennedy River on Vancouver Island!